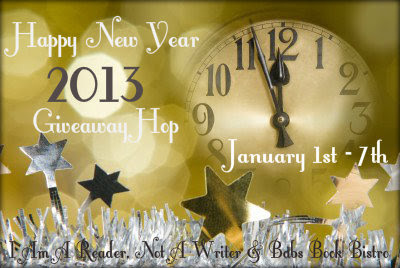 welcome to the happy new year giveaway! In collaboration with I Am a Reader Not a Writer, I'm giving away a book of your choice (up to $13 usd) from the Book Depository! This giveaway will run until January 7th. Me too! I hope one comes your way. Thanks for the great giveaway!! Happy New Year!! Thanks for the awesome chance! Happy New Year!